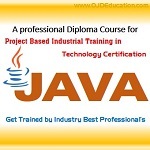 OJD Institute is a best project training institute in Lucknow. We provide different technical trainings like php training, php live project training, php summer training, java internship, advanced java training, core java training, asp.net training, android internship, java internship, php internship, computer science internship. Our aim is to remain at the forefront in centers of learning and teaching, We have vision to develop skill base for IT industry, looking for high quality recruits. Join us and you will find yourself in a vibrant, open minded and friendly environment that is sure will inspire you.